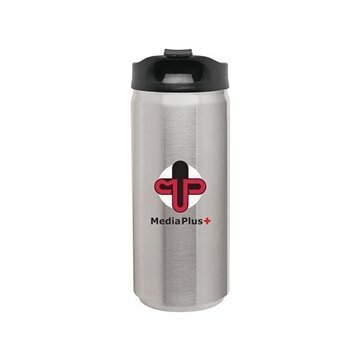 12 oz double wall 18/8 stainless steel thermal tumbler with vacuum insulation and threaded snap-fit lid. This product turned out exactly as we had expected. Great advertising tool. Great job with the printing. I especially like that it feels very sturdy. Customers loved this give away. I received my note pads the other day and I tell you it's amazing. Imprint was excellent. this product looked elegant and was very sturdy. We really liked the colors and clients loved them. I've been using this item for the last 2 years that I have been on campus and I love it.